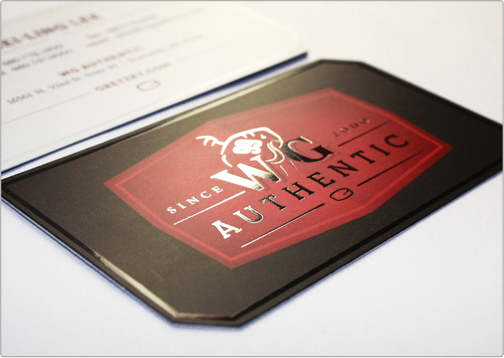 The WG Authentic business card design was designed for the offices of Wayne Gretzky's official memorabilia. 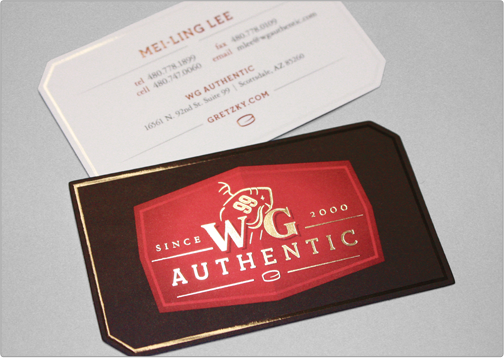 This die cut silk laminate stock card features notched corners and spot glossed borders on either side. The logo, also designed by Taste of Ink, has elements set in silver foil. Several elements of the contact info side of the card are spot glossed for emphasis.